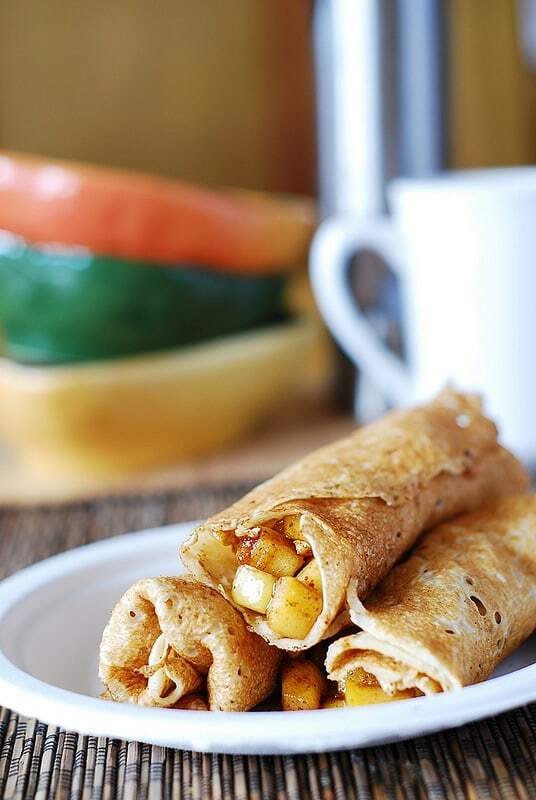 You can’t go wrong by mixing finely chopped apples with brown sugar and cinnamon and then stuffing that into a crepe. 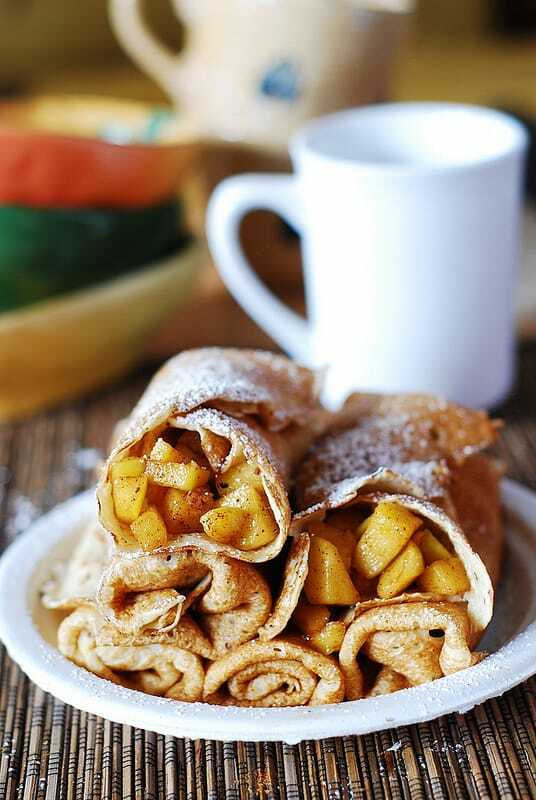 These Apple Cinnamon Crepes are like an apple pie – in a crepe! Delicious crepe filling recipe for homemade regular crepes or homemade gluten free crepes. While I used only brown sugar and cinnamon for the apple crepe filling, you could also try adding a bit of lemon juice or vanilla extract (or both) to the bowl with chopped apples for juices to do their work. 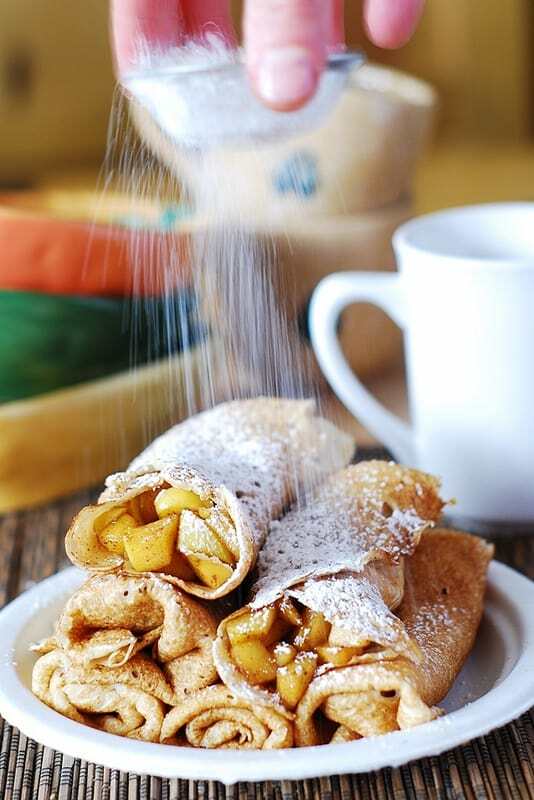 And, lightly dusting these apple cinnamon crepes with powdered sugar right before serving makes them so pretty! 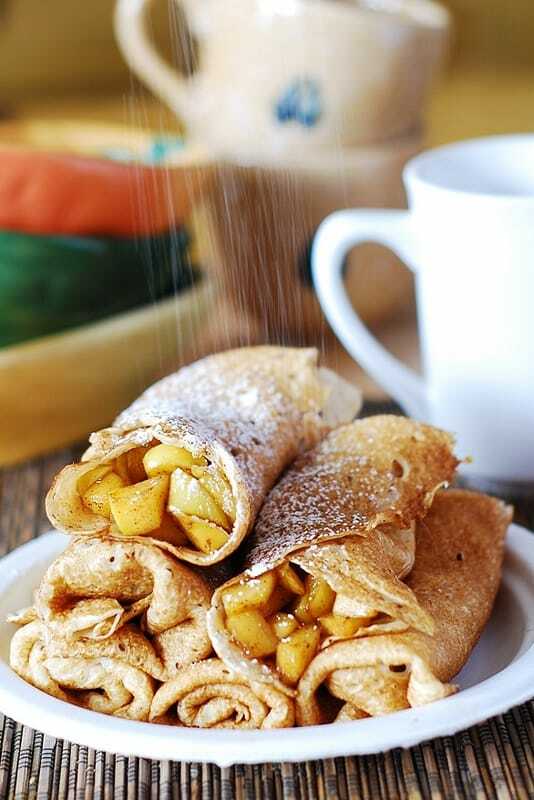 If you love crepes, I so recommend stuffing them with this apple cinnamon filling and trying this simple recipe! 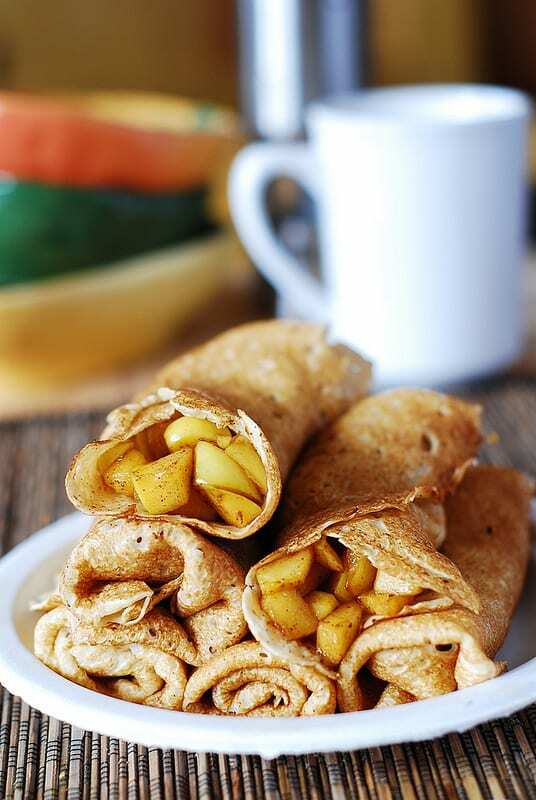 You can't go wrong by mixing finely chopped apples with brown sugar and cinnamon and then stuffing that into a crepe. 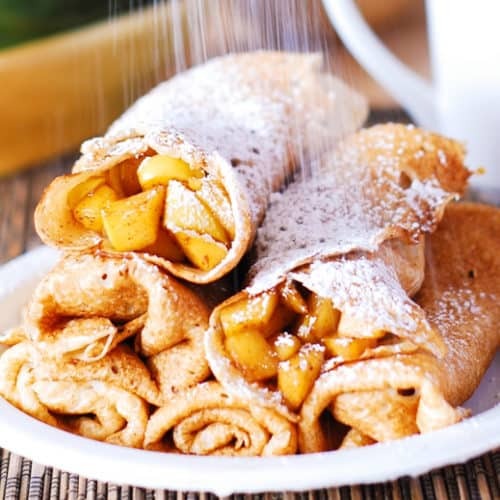 These Apple Cinnamon Crepes are like an apple pie - in a crepe! Chop apples into small cubes, place cubed apple slices in a medium bowl, add brown sugar and cinnamon, and toss everything together to coat chopped apples with brown sugar and cinnamon. Let the juices do their work for about 20 minutes. Right before serving, heat chopped apples on medium heat in a skillet, and warm the crepes in a microwave for about 20 seconds. To serve, add chopped apples on top of the open crepe, and fold the crepe into the pocket shape. Sprinkle with powdered sugar right before serving, if desired. This looks amazing!! I love crepes, so I’m definitely making this!